When creating and maintaining a business, there are many details to consider. However, while office furniture is often overlooked as generic and insignificant, it is indeed a fundamental element. True point, but people are visual creatures; we judge our environment based on visual cues and physical comfort. Your business may be the best thing since sliced bread, but if the client doesn’t believe this initially, you will find yourself in an uphill battle to convince them of the true value your business offers. Office furniture can work for you and not against you, providing clients with positive impressions in lieu of negative impacts. Here are three different ways your office furniture will impact how clients view your business. No matter the type of business you run, whether it is modern or traditional, a certain level of professionalism is expected, and your selection of furniture will reflect this. It’s important for clients to have a quality first impression on what you offer, where your values lie, and the kind of success you’ve experienced, because it could be the defining moment between selecting your services or going elsewhere. What does office furniture say about your business’s professionalism? The quality of your furniture will reflect the budget you have available to make a solid first impression. If your business has been experiencing a financial crisis, the bottom line is the first one to suffer and this includes your selection of desks, chairs, cubicles, and more. Clients know this; if your office is decorated cheaply or with little attention to quality, it will make them assume your business is low in quality and underfunded. With this in mind, how can they trust you to fulfill their needs in comparison to a well-decorated and successful rival? Secondhand furnishing is an economical choice no matter the size or success of your business, but selecting pieces which are high in quality and stylish in appearance will reinforce professionalism rather than subtracting from it. Even the most successful businesses must make choices on where to appropriate funds. However, presentation is the first step to success, and if you have not invested time into proper professional appearances, where else will you lack professionalism? Furniture that is poor quality will indicate you do not value looks and the good opinion of your clients, making your business seem amateur rather than highly competent. It’s expected that clients will spend a decent amount of time seated at your business, be it in the reception area or in an office for consultation. A person’s environment deeply affects their level of comfort, trust, and enthusiasm, and the right kind of furniture will reflect both how much you value their wellbeing and how much attention will be devoted to fulfilling their professional requirements. Sitting in chairs which are uncomfortable and even painful builds frustration and annoyance in clients, slowly working away at their patience and positive attitude. Even if your service is exceptional, the discomfort will impact how they view your business and how much you care about their wellbeing. Furniture that is comfortable indicates compassion, attention to detail, and how important their patronage is to your business. This personal touch will make a client feel welcome and important, encouraging them to choose your services over a company which was inconsiderate of their physical state. Waiting in a reception area or office is often uncomfortable, especially if the business clients mean to conduct is delicate or personal. If your business is furnished with objects that are bland and uncoordinated, clients will feel out of place and at ill ease, increasing this anxiety. However, if your furniture is warm in color, well-coordinated, and inviting, it will put clients at ease and make them feel more relaxed in their environment. This tells them that you have taken additional time and expenses to ensure they feel at home in your office, instilling faith that you will take the same care in delivering high quality services and tending to all their professional needs. Furniture tells something about your status and ethic as a business, but it also tells a more fundamental story of how your business operates. First impressions are everything, and your selection of furnishings will tell this story in a single glimpse. Traditional and technical fields are often decorated in plain or dark colors, with furniture that is uniform and generic. This indicates professionalism, focus, and routine is important to the company’s values, as you’ve likely witnessed with banks, doctor offices, and IT stores. However, brighter colors, more modern decorations, and unique furnishings indicate that creativity, comfort, and collaboration are important values, befitting cafes, entertainment centers, and design studios. When a client walks through your doors, what they see will determine what they expect from your business. Selecting desks, chairs, and tables that mirror your business type will explain the theme of your business immediately, leading to a more accurate impression and greater confidence in clients. If your technical business was furnished with bright colors and unique designs, the client would note the attention to creativity and expressionism. Yet, if you are focusing on these values, perhaps your ability to focus, execute routine tasks, and complete deadlines is lacking. If your creative business is filled with bland colors and traditional furniture, a client would wonder if your business lacks imagination. By deciding on furniture that reflects your values and where your focus lies, you are giving clients reason to believe they are coming to you for the right services. People are highly visual creatures, and encouraging clients to choose you over the competition lies in your ability to cater to their first impression. By choosing the correct furnishings, you can ensure your clients feel comfortable, confident, and inspired in your office. When someone says “conference room,” the first thought is typically a high-level corporation’s sterile white room. Inside you’ll find boring and nerve-grading meetings where executives display generic presentations, discuss pretentious options, and make decisions that adversely affect the lower levels of a company. You can push away the headache, because conference rooms have been poorly judged. 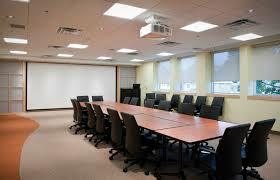 By definition, a conference room is a location where businesspeople gather to discuss important topics. In the modern age, it’s easy to think they’re obsolete with the use digital communication apps, allowing small businesses and huge corporations to meet from the comfort of their home. However, they’re still important for offices today – whether your business works remotely or at a traditional office. While inviting clients or business partners to your home to conduct meetings may seem more comfortable and convenient, conference rooms have the ability to instill a sense of professionalism. The more professional you and your business seems, the more likely you are to inspire trust with your partners and clients. By inviting potential clients to meet with you in a conference room, you are displaying a level of competence in your designated field. You are taking the time to choose a location that is private, formal, and convenient for large groups of people, with a certain knowledgeability on how to conduct a professional meeting. Whether you are trying to convince an investor, persuade a client, or collaborate with a business partner, choosing a conference room to conduct the meeting shows dedication. You are taking the time to put your best foot forward; you want to impress them, you want to convince them, and if you put this much thought into a single meeting, how devoted will you be to future projects? The stigma surrounding conference rooms goes both ways; while they may not be boring and generic, they do indicate a certain level of authority. By inviting a client to meet with you in a conference room, you are showing a certain level of pride in your work. You are addressing it with the status and class befitting your position in a company, and the second party will recognize this. Beyond initial introductions with new clients, conference rooms can be used for future meetings with employees and executives. The general idea is to gather everyone in a single room to discuss topics, and a conference room serves as the perfect location for this. Collects everyone into a single room. While remote work is an esteemed asset in the modern day, there is no denying the value of bringing all the great minds into a single location. By ensuring that colleagues and business partners can sit together and speak openly, you are preventing barriers in communication, averting misunderstandings, and allowing for each meeting to be concentrated and productive. A conference room creates a setting where equality, creativity, and competence is encouraged. Conference rooms do not need to be arranged with the most important individuals at the head of the table, with the intern cowering at the end. You can organize the chairs and tables so that each person has a position to speak and be heard, feeling confident in offering suggestions, forming opinions, and making decisions that benefit everyone. Two minds are better than one, and this principle is encouraged by gathering all vital members in a single area. By allowing for real-time discussion, interaction, and collaboration, a momentum can be built that leads to better communication and results. When each member is allowed to speak their mind and be heard immediately, without digital delays or overrun chat rooms, it allows for new and creative ideas to spark. Suggestions can be taken into account, new opinions can be discussed, and results that would otherwise be stunted or prevented can grow. Unlike chatrooms where everyone can potential speak at once, or video conferences that can experience technical difficulties or delays in audio, a physical conference room allows each member to read visual cues and speak in succession. This establishes a structure to meetings – eliminating misunderstandings, barriers in communication, and general disorder. Unlike meetings conducted at home or in coffee shops, conference rooms allow for privacy and the elimination of distractions. Maybe the couple at the café table next to yours has good intentions, but their invasive make-out session makes it rather difficult to concentrate on sales graphs and contract signings. A conference room is private and enclosed, allowing each member to focus on the task at hand rather than being treated to an impromptu, real-time reality show episode or similar distractions. Conference rooms are designed for meetings, and are therefore arranged to accommodate any sort of meeting at any time, without the need to arrange tables at a coffee shop to suit your requirements. With the multitude of equipment needed to host a range of meetings, it becomes difficult to locate the proper devices at the right time – especially if machines are needed unexpectedly or if you cannot invest in a great number of devices. Many conference rooms can be rented with amenities included, allowing for you and your clients to conduct a meeting smoothly, without the struggle to find nearby power outlets or the scramble for a projector last minute. If your favorite café happens to be booked on the day of your meeting, it can be difficult to find a replacement location. Conference rooms are designed to cater to this need, and it’s easy to book a special room for your meeting ahead of time. 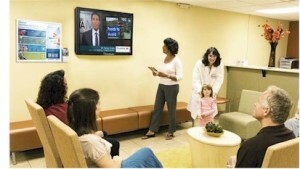 Large corporations or small businesses often avoid conference rooms in lieu of the modern age’s conveniences. However, they are still crucial to any business and can drive you towards success.